Samuel Hulick is a user onboarding consultant, and the creator of UserOnboard.com, where he does teardowns of various apps and websites. He is the author of The Elements of User Onboarding. 00:16 Patrick O’Keefe: Hello, and thank you for listening to Community Signal. According to today’s guest, user onboarding is the process of increasing the likelihood that new users become successful when adopting your product. Within online communities, this usually means that you are trying to guide a new community member on the path to becoming a successful member of your community. For most of us, ideally, they become an active contributor. Samuel Hulick is a user onboarding consultant, and the creator of UserOnboard.com, where he does teardowns of various apps and websites. He is the author of The Elements of User Onboarding. Samuel, welcome to the show! 00:47 Samuel Hulick: It is a pleasure to be here. Thank you for having me, Patrick. 00:49 Patrick O’Keefe: Well, thank you for coming on. First, I wanted to tell you that I really enjoy UserOnboard.com, and the teardowns that you do. For anyone looking for onboarding ideas, flipping through the teardowns is an amazing way to get some inspiration. It’s just incredible. And I like that even though these are called teardowns, I never have the feeling that you are actually tearing anyone down or being malicious. You aren’t a “hater,” as the kids might say. This all seems to come from a good, positive place, and I really like that. 01:15 Samuel Hulick: Yeah. Well it’s interesting, the whole term of teardowns… A lot of times people do think it has kind of a negative connotation, but I actually got it from the world of mechanics, where to understand how an engine would work, they would just pull all the pieces out and kinda lay them all out and go through it that way. So they would kinda like tear the engine apart, and that process of evaluation was called a teardown for them. And I thought that what I was doing screen-by-screen was kinda similar. So that’s why I called it that, but never meant to tear them a new one, or anything along those lines. 01:58 Samuel Hulick: Yeah. It’s probably not the best word choice on my end, but that’s what I started with and it just kinda stuck that way. 02:03 Patrick O’Keefe: No, no. I like it. Are there any online communities that have an onboarding process that stands out to you? 02:08 Samuel Hulick: Well, I’m an advisor for a company called Switchboard, so I’m a little bit biased, but I have been working with them quite a lot on their onboarding. And we’ve talked, ranging all the way from just the philosophical to the nitty-gritty regarding microinteractions or screen orders, and whether anyone used tooltips or not, and things like that. So that one definitely comes to mind. And beyond that, I can’t think of a lot of communities that I have gone through the sign up or activation process and just been like, “Wow! This is super novel.” But I’m sure they’re out there. 02:37 Patrick O’Keefe: Right, right. I’m sure if they struck you in enough of a positive way, you’d probably have done a teardown of them. 02:42 Patrick O’Keefe: It seems like the ones you really like end up getting the teardown. 02:45 Samuel Hulick: And there’s also kind of an element with onboarding where if it’s… Especially to someone who isn’t specifically focusing on onboarding as a professional kind of thing, like film editing, or scuba diving, or air conditioning. If you’re noticing it, it’s probably not doing its job. So the less that it’s noticed is probably the better anyway. 03:00 Patrick O’Keefe: Online communities tend to be powered by a few main pieces of software. There’s some very old ones, there’s some newer ones. But it’s a 10 or so grouping of community software that power most of the online communities. And as such, many many communities onboard people in a similar way. Here’s a registration form. Perhaps a call to action. You register, you check your email for confirmation, click a link, your account is activated, and there you are. There might be some prompts toward the top of the page with some tips for making your first contribution or filling out your profile, but that’s about it. And this is a big question, but let’s say you were hired by a community platform. This has already happened. But let’s say you’re going in, someone’s hiring you to look at their forum or their community platform, where do you really start? What’s the ideal first-run experience look like for an online community? 04:58 Patrick O’Keefe: That makes sense. Something that’s thrown around quite a bit right now in community circles is a “commitment curve.” But, it’s basically the same thing. [chuckle] It’s getting people to climb a ladder and progress up the curve between, say… A good example that was given to me is, someone who’s just starting to use… Let’s say you just signed up to Airbnb or Uber, and now you have people who are literally calling their representatives in government to lobby on behalf of the company. And that’s sort of maybe at the upper part of the curve of how deeply you can get someone to commit. So commitment curves, ladders, it’s all very much the same thing. Just kind of spun in a different visual way. 05:31 Samuel Hulick: Right. Yeah. So getting people all the way up to the point where they become evangelists, essentially? 05:37 Patrick O’Keefe: Right. Yes, more or less. 05:38 Samuel Hulick: Yeah. Totally, agreed. One thing that I really like to note when I’m working with companies as well is that it’s not so helpful to define that in company-centric terms. A lot of times people will look at it and be like, “Well, we wanna retain more of the signups that we’re activating,” or things along those lines. But no one thinks of themselves as being in the retention phase of a particular community or their relationship with a product. They think of it in terms of what it means to their life and what kind of person they get to be that they otherwise wouldn’t. And so the progress that I like to define things by are what those rungs of the ladder are, what are the things that are highly relevant to an individual who’s participating in this and not to the people who are kind of running the show, or things along those lines. 06:19 Patrick O’Keefe: Yeah. You have an image stuck to your UserOnboard Twitter account which says “People don’t buy products, they buy better versions of themselves.” And I think it’s really interesting because on an episode I recorded with Carrie Melissa Jones, we talked about how we think of churn in a very limited way, we think of losing people. And so some of us think of holding onto those people forever, like “You will lock into my community forever.” But, I never got into community to monopolize someone’s time or their life. I think really good communities think about we want people to graduate onto greater things often times. Educational communities, we want to have this strong alumni, people who go on to do amazing things. I always like to compare it, and I just did this in the last episode, but I’ll throw it out here again, to the cast of SNL where we get new cast members, some of them go on to become huge movie stars, some don’t. Some go back to stand up, some go and do something else. But the people that leave, generally, they come back. They are mentors, or they talk about this great institution. And that’s really what you want, is to make that person better and help them on the path of their life, whatever that may be. Not necessarily keep them locked into your prison of community. 07:26 Samuel Hulick: Man, I love that analogy. That is so spot on. I will be appropriating that with attribution in the future, I’m pretty sure. 07:32 Patrick O’Keefe: I’d love that. I actually wrote a blog post. So I’ll link you to it after we’re done here. 07:55 Patrick O’Keefe: It’s not. 07:55 Samuel Hulick: With community and software, or some combination of the two, to be really invested in that person growing and changing, and if that means kind of like graduating out of it, then it means you’ve done your job. 08:06 Patrick O’Keefe: That’s a great way to look at it. I know you’re a big fan of keeping someone informed as they are moving through the onboarding process, status bar, the visual confirmations that you have completed an option or that a user name is available, different button states clicking and submitting entries. From you teardowns, it seems like it’s really important for people to understand that onboarding isn’t just a series of steps, form entries, or button clicks. It’s really about communication and positive reinforcement. 08:30 Samuel Hulick: Yeah. Totally agreed. It’s really something where if the focus is on the progress or the growth of the person in their life, then aligning your design around that, and providing confirmation, and providing feedback about the progress that they’re making can really, really be helpful for a number of reasons. One is that it’s just confirming what they think is happening. So, just being not kinda going dark on people or leaving them to wonder if they’re going in the right direction or not can be helpful. It can also be a real motivating kinda thing, that if you’re getting those little kinda dopamine hits of congratulations and rewards in that kind of manner, then that can be helpful too. But, at the end of the day, probably the most helpful thing is that you’re just giving people almost kind of like a role model to follow, where you’re saying “This is what good looks like, and the things that you’re doing are getting you closer and closer, or you’re more frequently doing good things. And so, just keep up what you’re already up to,” can be really, really helpful from just a psychological, motivational kinda standpoint. 09:27 Patrick O’Keefe: Most online communities are shared spaces, you don’t post your profile. People don’t have to follow, opt in, or subscribe to you. What you post is seen by all. For this reason, when guiding people to their first contribution, we want them to do it in a way that is seamless, that fits in with the community of existing users. For example, we don’t want them to drop in to an active conversation and just post the word, “Hi.” [chuckle] What makes the most sense here to you? Is it… Guiding them toward the introduction section seems sensible, but is that the best way to go or do you have any thoughts on that? 09:56 Samuel Hulick: Sure. And are we specifically thinking this is more of like an asynchronous thing, like a forum, or like a Slack group, or any of the above? 10:04 Patrick O’Keefe: I guess any of the above. Think about areas where there is kinda deep conversation, and there are threaded conversations happening, and they could be happening with video or images. Often times, they are text. And so, there are these conversations going on in different sections in the community. There might be an introductions area. And so, you don’t wanna guide them into an area where they would disrupt it because that would make it awkward for everyone. So, do you have any guidance on how to really guide them toward the right section for that first contribution? 10:32 Samuel Hulick: Sure. So, there are a couple things in play here. One is that you wanna get people up to speed with just how your software works, and ideally, the kinda platonic ideal of that is that it’s so intuitive, everyone gets it right off the bat. But, that’s probably not gonna happen. It’s a great thing to aspire to and I certainly wouldn’t suggest that you kinda fall back on just stapling on instructions instead and let your experience suffer because you’re providing rote directions instead. But, the fact of the matter is there probably is going to be some sort of need for training or just to kinda let the user get their reps in. One thing that I really highly recommend in that scenario is to dump them into a place where it’s really clear that they can experiment, make mistakes, it’s not gonna go on their permanent record, it’s a private space so they’re not gonna look like they’re doing something dumb in front of somebody, and just kinda let them explore the interface and understand how to operate it before they go out and kinda try to parachute into an existing conversation. So that’s one thing of just kind of understanding how to make the software do it’s thing. 11:33 Samuel Hulick: I think Slack as a software piece itself does a really good job of that because the first thing they have you do is go in and start setting up your profile by chatting with the Slackbot. And all of that profile information that they ask for could have been asked for in like a wizard or some sort of form that existed outside the software, but it’s really interesting how they get you to go in and enter it through chatting, which is the core skill that you need in order to just get anything out of the software at all. 12:00 Patrick O’Keefe: Yeah, I really like that. 12:00 Samuel Hulick: So in that same way, if you can dump people into a sandbox, where they’re not just reading about how the software works, they’re actually directly experiencing it and knowing that it’s okay to mess up, or that it’s kind of impossible to mess up in that environment, that can be really helpful. And then beyond that, you would just kind of also wanna cover whatever “onboarding” would happen to an IRL community, if there are rules or expectations regarding conduct or language. Getting people up to speed with that can be really helpful. I know that there are things like sticky posts at the top with FAQs, and things like that. It’s probably not safe to assume that everyone is definitely going to read those, but I’m sure they can do more help than harm. Just so long as you’re not completely dependent upon them. 12:41 Patrick O’Keefe: I really like the idea of a sandbox. And I feel like that’s an area where hopefully community software, forum software can step up because it just doesn’t exist, for the most part, with the options that are out there. You can create a section. You can create a test section where they can post things. But just having it where it’s not even something that you have to look at. It’s not an area to clean up. It’s not an area that really exists on the community. It’s more of here’s the process. They’re making a post. They’re making their first contribution. They’re learning how the software works, so that they can then go on to make their first real post. I would definitely like to really see some of the software vendors step up in that area and sort of provide that as, what ever you want to call it, a community tour, onboarding, I don’t really care, but just get it in there as an option. 13:22 Samuel Hulick: Yeah. It’s kind of like video games where they have like the playable tutorial, where you know you’re not gonna die. The stakes aren’t dire. There’s nothing that you’re gonna do here that’s gonna permanently affect the rest of the actual “game experience.” But just kinda go to town and just figure out how the controls work and just get a feel for the game in a very almost kinda molecular, biological kinda way. In that same sort of way, that’s what I really strongly advocate for software. 13:44 Patrick O’Keefe: You mentioned guidelines and social norms and conduct standards. One of the things that is fairly clear is people don’t read those things often times, and it’s something that we joke about as community professionals, but everyone does it. And I noticed in a lot of your onboarding teardowns, that’s really not much of a consideration. In terms of services, it’s usually what’s there, it’s a link, and you just click the next button and go. 14:06 Patrick O’Keefe: But with online communities in these shared spaces, like you said, it is more important. There are societal norms in the community where people post a certain way, or they talk a certain way, or there’s certain standards for, I don’t know, respect, or how things are discussed. And so is it worthwhile to make those part on the onboarding process, or is it just sort of something that should be left for later on where they’re already jumping in? Because often times what we find with guidelines is that the first time people see them is when they violate them. And when we notify them of that, that’s our educational opportunity to say, “Here. These are the guidelines. Guideline violations aren’t a big deal, but just for the future to keep these in mind.” Is there something where they should be a part of the onboarding process, do you think? 15:44 Samuel Hulick: And a lot of the elements that they’ve put into the interface itself and what it will accept or reject regarding character count, or I’m assuming there’s some like regular expression stuff gong on there regarding particular words that are considered helpful or not helpful, the point system that they have where you have to ask a specific number of questions before you can start answering them, or changing other people’s answers, all of that I think was done really, really elegantly and really speaks to the civility issue especially. 16:12 Patrick O’Keefe: I really like the idea of looking at onboarding as also that process of educating people directly, and even that first guideline violation. Which kinda makes me wonder, is there a time limit on the onboarding process? I think a lot of people think it’s like the period where, as you say in your teardowns, free exploration begins, where they’re kind of let go to do whatever they want. But you make it sound like it’s really possibly a longer process where people might be educated over a period of time. 16:36 Samuel Hulick: Yeah. That very much goes back to the whole curve/ladder idea. If your ultimate goal is to help progress human beings up and possibly through your community, then the idea of it being over in any particular way before someone becomes that evangelist or graduate, I would just say that there’s more onboarding left to do. So to be clear, when I do the teardowns on the site, I’m reviewing… I’m clarifying now because I do a poor job of making it explicit on the site. But that particular part of the onboarding experience is what I call the “first-run experience”, which is like, “Okay. I’m going to sign up. What happens in the very first sitting that I’m guided through before I just have to either hit a road block or it’s just up to me to figure things out from there?” And that’s specifically what I’m reviewing, but I definitely, personally do not consider that to be anywhere remotely the equivalent of onboarding itself. 17:24 Patrick O’Keefe: Gotcha, Gotcha. That makes sense. I find that when I do run into online and community onboarding, often times it focuses on getting me to fill out my profile, as opposed to making that first contribution. Do you think that’s backwards in this setting? 17:36 Samuel Hulick: Well, yeah. That’s a really good question. Again kinda going back to the ladder/curve idea, humans go to interact in communities or to engage with communities, whether they’re real life or digital experiences, because they’re trying to accomplish something or they’re driven by some sort of human need. And there’s a very strong sense of doing behind it. I tend to think of people in terms of verbs more so than in terms of nouns, and a lot of times in the design world we’ll work around things like personas, or in the actual use of the software, there are things like fleshing out profiles. It’s probably pretty unlikely that burning need that drove someone to sign up for the community was that they hadn’t been able to like fully represent themselves in profile form. So anything that helps progress them along that ladder of growth, I think is a great idea. Do profiles really help with that all the time, or even if they did, are they the first thing that I would recommend steering people towards? I’m not 100% sure about that. 18:35 Samuel Hulick: I think that the good thing that you can say about profiles is that they are discrete activities that have a percentage of completion that they can be. So if you go to LinkedIn, for example, they can say you’re 80% complete, you just now have to add your work history or make five contacts or whatever that might be. And so to give people a kind of easy win early, can maybe let them feel like they’re a little bit more involved and it’s a little bit more of an intimate affair, and they can remember that they have accomplished something that they can come back to later. However, if the entire onboarding or first-run experience is based around getting people to fill out a bunch of kind of doodads and upload a photo and tell people what kind of car they drive, and that really has nothing to do with what they’re actually there to do, then it would be wise to at least try a different approach and see if that worked better. 19:23 Patrick O’Keefe: When looking at registration forms, community software used to have really long forms, and I guess lot of the internet really did, where you would be asked to fill out every profile, fill and decide on every option, and they tend to be much simpler these days. Do you think simpler is always better when it comes to those forms? The signup flow of an online community, is simple just the overall goal? 19:43 Samuel Hulick: In a vacuum, I would say yes. I would typically not recommend making an experience more tedious than it needs to be, for sure. There’s also the psychological phenomenon of… There’s kind of a nickname for it, which is the IKEA effect, which is basically saying people form attachment with things that they’ve put their time and effort into, in the same way that if you bring home some IKEA furniture and spend a half hour assembling it, you’re gonna feel a little bit more connected to it than if you had brought home something fully assembled that was ready to go. And so in that same sense, if there is some work for people to do that they can look back and feel like they’ve accomplished something, then I wouldn’t say that that’s necessarily a bad thing. Ideally it really aligns with them making the kinda progress in their life that they were hoping to when they signed up. The less alignment there, the more it’s probably gonna feel like busywork and the more they’ll probably feel resentful. 20:31 Samuel Hulick: There’s also an element too where specifically with profiles, there’s a lot that you can kind of infer or pull in, in a meta kinda way. Like if you are having people sign up with their Twitter accounts, then you can pull their Twitter profile, and their name, and all these different things, and have some really smart sensible defaults just sitting there, waiting for them as soon as they arrive. So if you can save people tedious steps that are insubstantial or aren’t very progress-focus, I could see that being something where at the very least you’d be freeing people up to take more substantial steps elsewhere. 21:04 Patrick O’Keefe: So I’m glad you said “in a vacuum” because I wanna talk about this a little bit, about the idea of making it harder. So bear with me, bear with me. Now I’ve written a little bit about the idea of making it harder to register for an online community, and again it might sound like the ramblings of someone who’s lost it. But I think there can sometimes be value in qualifying new members. Let’s say you have a great community and you were finding an influx, an overflow of new members that is lowering the quality in your eyes or in the eyes of the members that exist there. If you were having scaling issues or don’t have enough moderators, but you want to kinda maintain the standards of the community you have, there’s things you can do. You can approve new accounts by hand. That certainly… [chuckle] has an effect on onboarding, and not a good one. But you can ask people to tell you why they wanna join. Or in a fan community, you could have them fill out a quiz to demonstrate they are a fan, and not just someone coming in to maybe trash the object of your affection. None of that is foolproof. And there’s problem with those things, and they can definitely be abused probably. But I think in certain circumstances, those types of things, if not as I described them, might be useful. 22:07 Patrick O’Keefe: MetaFilter, a well-known online community with loyal members, charges $5 per new account. They find that it helps them discourage drive-by users or people who just want to quickly cause trouble. Do you think there can sometimes be a benefit to making registration harder? 22:21 Samuel Hulick: Sure, yeah. There’s actually an interesting case study where Lumosity, are you familiar with them? 22:27 Samuel Hulick: The brain training software. 24:13 Samuel Hulick: And then you… That pulls you through the rest of the experience, and has you coming back because of that sense of attachment to you, that future version of yourself. And so, in that same way I… One thing I really do like to do is ask people just like, “Hey, welcome. It’s nice to have you here. What do you hope will happen essentially?” And at the very least you’ll get some really, really rich qualitative data around what it is that people will hope will happen. And that can inform whether your marketing messaging is off, if people are saying things that your product just does not do it all or your community does not serve. Or it can be confirming that what you think people are signing up for is in fact the case. And then on top of that, there’s also the chance that it gets people to slow down a little bit and then just turns the whole thing into a slightly more meaningful experience overall. 24:57 Patrick O’Keefe: That’s interesting. It reminds me of your Duolingo teardown, where you had to choose a language. You committed to, “I wanna learn this.” And then you started to learn it. You started to translate and learn the language, and then you got to this point where you had 10XP, and then it was time to sign up. Do you wanna save your progress? 25:15 Patrick O’Keefe: And it wasn’t as easy maybe as asking you to just put your name and email in at the start, but by the time you got there, you felt committed to the point where it was a no-brainer for you sign up. 25:24 Samuel Hulick: Yeah, and Duolingo did a really interesting thing as part of that as well, where they interrupt you kind of in the middle of one of the lessons and they say, “Okay, things seem like they’re going pretty well. How many times per week do you wanna come back?” Or something like that. Like maybe it was framed as, “How many minutes per day do you wanna apply to this?” Or something like that. And they got you to kinda make that New Year’s resolution, “I’m gonna go to the gym,” kinda commitment, while things were going well. Not an email that came two days after your first visit, when it was totally irrelevant and cold. You were in the thick of the moment, “Oh, yeah, yeah. Things are going pretty well. Alright. Let’s say I wanna come back four days a week.” And then that could tease them up with the ability to say, “Hey, remember when you said you wanna come back four days a week? You’ve only been here two and you only have three days left,” or whatever that might be. 26:10 Samuel Hulick: So yeah, the whole idea of getting people to recognize the progress that they’re making, see that they’re becoming closer to that kind of imagined better self, and then kind of provide training wheels for motivation, of making sure that people stick to that idea, that ideal that they were pursuing. 26:43 Patrick O’Keefe: But how can we be using lifecycle emails better? What do you suggest? 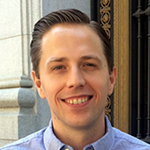 26:47 Samuel Hulick: I think that lifecycle emails are really under-leveraged in communities and just general software as a whole. I think that the notion is that a lot of people don’t wanna risk the relationship by spamming people. To which my response is, “Then don’t spam them. Send high quality, really relevant, cheerful, helpful emails that are genuinely invested in the other person’s success.” And so, how do you go about doing that? To my mind, the two main kind of emails are either letting people know why it’s to their benefit to do something that they haven’t yet done. For example, if you’re a dating website, and somebody hasn’t uploaded a photo, saying, “Hey, did you know that uploading a photo makes it six times more likely that you’ll get that date request within an hour?” And then a big fat button that’s like, “Upload your photo now.” As opposed to just admonishing people for not having done something, or whatever that might be. 27:36 Samuel Hulick: And then the other main kind of email is, I guess what you could kinda call a positive encouragement email, where… One thing I remember, I used to write on Medium. And once your post got it’s first recommendation, you would get this email saying, “Your post is on the move!” And it was like I loved getting that email because it was this great confirmation and validation of me as a human being. Like, “Alright, I really did it!” And so any opportunity that you can have for that, like if you send out an email congratulating someone on their 100th comment, or if there are up votes like… Or a lot of times, in communities, like forums especially, there will be kind of progression systems of starting from like Rookie to Veteran to Star to All Star to VIP or MVP or Hall of Famer, whatever those might be. Anytime somebody progresses and moves up, that’s just a no-brainer opportunity to send an email congratulating them. 28:26 Patrick O’Keefe: It’s really good I think, especially the second one I think, is something that communities could do a lot better as kind of taking the activity in the community around the content, and using that to tell people about the activity. I’ve done some Medium posting as well, and those emails are very infectious. And I think it also ties into the ladder you’re talking about and moving people up and maybe even segmenting people off based on where they are in their life cycle, so that maybe you don’t wanna ask everyone to lobby Congress. [chuckle] But you’ve got this group of people that you know is super dedicated, and maybe that’s part of their life cycle, is to ask, of asking them to progress to that next step and giving them the tools to do so. 29:03 Samuel Hulick: Totally agreed. Yeah. 29:05 Patrick O’Keefe: So on your training page, you say that onboarding doesn’t have to be a bottleneck. And I have an example I’d like to share with you [chuckle] of a bottleneck I think that’s pretty severe. 29:12 Patrick O’Keefe: I was on a somewhat well-known social media platform recently, and I don’t wanna say who, and even though I was already a member, I hadn’t made a contribution before and I was kicked into an onboarding process they had just launched after I had already registered. And as soon as logged in, I was sent right to it. The first step on it was they asked me to pick some topics that interested me. Now, I hate to be the difficult person but I never do that because topics lead to notifications. If not email, then on the site. I just don’t want them. I don’t wanna be notified of latest posts in baseball or of cooking or whatever, I just don’t. So, I always opt out. And then, I realized something. I couldn’t opt out. There was no opt-out option. I actually tried to hack my way through it by changing the link in the address bar from one to two just to get through the process. And it looked like it would work, but after I thought I made it through, what did it do? 30:00 Patrick O’Keefe: It kicked me right back to the topics page ’cause I hadn’t selected one. And it was so bad that I couldn’t even go to the homepage directly. I couldn’t go to the website. It would always kick me back into the process until I completed it. No matter what I did, no matter what URL I visited, it forced me back to that “Pick a topic” page. I actually recorded a screencast and sent it to the company and that’s how much I was like, “What the heck’s going on here?” And of course I completed it. I hate to sound like I’m just the most difficult person in the world, but it really made me realize how important it is that people are able to actually opt out of these processes. Is that something that you run into, or when you advise people, that they wanna just lock people in, where… I don’t know, how do you feel about it? I assume you feel like they should be able to opt out, or maybe… I don’t wanna put words in your mouth. 30:56 Patrick O’Keefe: I would say so. 30:56 Samuel Hulick: Yeah, so in general that’s not a great thing. As far as making particular steps required or not, I can’t really speak to that without really getting clearer on what the business’s goals are. I know that sometimes there are particular steps that are required that just kinda flat out shouldn’t be, like confirming your email address or something like that. There are a lot of situations where the reason that the email address needs to be confirmed is because that’s like “how the database works”. And those kind of things I find really, really difficult as both a user and as a designer. So there are those kinda things. There are also particular things that are required by the legal department, maybe… I’ve worked with banks, and just the compliance with the federal guidelines regarding anti-terrorism and all that is just insanely difficult. So there’s that element too, where your hands are just frankly tied sometimes. 31:44 Samuel Hulick: As far as your case was concerned, with having… Listing interests, it sounds like that wasn’t probably going to be highly sensitive information that they absolutely needed in order to deliver a delightful experience to you. So I would tend to say when in doubt, do let people skip things or at least make a really good case around why it’s to someone’s benefit to enter that in. At the very least, it sounds like that you were far from sold on that being a good thing to do with your time in your life. So if nothing else, there’s this analogy that I use, where like trying to give a dog a pill, where you have to hold their mouth open and then try to whip it down past their tongue to the back of their throat, and then close their mouth until they give up and swallow, and then they spit it out and then it’s all slimy and it’s sitting on the floor, and you have to do it all over again. Or you can just wrap it in a meatball, and then the dog just wolfs it down. And so anytime that there are these required steps because of either just ridiculous internal reasons, or legal reasons, or because the company just wants it that way and that’s all there is, as a designer, I like to try to wrap those in meatballs as much as I possibly can. 32:49 Patrick O’Keefe: Right. I’ll say, without getting too specific, it was a streaming company, where you log in and you get on a call with someone. And so I was signing up just to do an interview, or I was confirming my account was set up because I had an interview to do the next day. And so of course they have all this public content that goes into categories, and so they want me to pick categories, so they can serve up their relevant content. Like I get it, but just let me be. Just let me… I just wanna do my interview and go ’cause I don’t wanna start triggering emails based on the new content in this category. And I guess it goes back to your point about communication. Communicating the value of it, communicating… If I would get an email, communicating what they’re gonna do with this, and then letting me leave if I want. 33:29 Samuel Hulick: Yeah, it sounds like, also, that they didn’t really have a whole lot of your trust going into the experience, that I can imagine that there would possibly be other circumstances in which you’re like, “Ah I know you got my back. Alright fine, I’ll just do this” or whatever. But it sounds like things were possibly not starting off on the most established foundation to begin with. 33:49 Patrick O’Keefe: That sounds like it could be true. 33:51 Patrick O’Keefe: That’s one bottleneck, right? What are some of the main causes of bottlenecks that you see? 34:31 Samuel Hulick: Like now that you finally wanna put a ring on it, go to the distraction nightmare that is your inbox, and wait 45 seconds for our servers to send you an e-mail that you can then try to find, possibly like in your spam folder or your promotions tab or whatever, and then click on it, and then come back to where you were before, hopefully, unless if you got distracted and started hanging out on Twitter instead or took a phone call or went out for a walk or whatever. And so, anytime that you’re injecting an interruption into the flow of a highly-motivated experience, it should really have a very very compelling reason for it. A lot of times, somebody enters a typo in their email address, that’s a pretty recoverable error; or making people enter their password twice instead of once. These are things that you’re probably not adding a whole lot of overhead to, and the safeguards are probably doing more harm than good. 35:20 Patrick O’Keefe: When you talk about email confirmation, I know that one of the reasons that communities often do it is because it’s essentially the only way back into the account if something happens. If they forget their password, and this happens. I manage a martial arts community that’s not that large, it’s a good size. And so I’m not saying we don’t have tons and tons of users coming in, but it’s also not an audience that is super tech-savvy, let’s say. And so it happens, like they forget their password. If we can’t confirm something from them, I don’t wanna give them access to their account, especially if it’s a high profile account. So if it’s not the email address, then we have to dig into their profile or dig into their post or see what they put on their profile, and see if there’s something we can tie back to them that only they would have access to, to give them access to their account. So, the email address is sort of the simplest way to do that, because if they have access to the email address and we know the email is confirmed, because we know that on all the accounts on the site right now, that has value. Is that maybe not the best way to go about verifying account ownership? Is there a better way? Is there something I’m missing there? 36:22 Samuel Hulick: I guess the distinction that I would make is, a lot of times I’m working with companies that have a high degree of control over the software that they’re using, or the software is what the company produces. You were saying before, maybe there are 10 different options out there, and maybe you don’t have a whole lot of input as to how they operate, then that can really change that recommendation for sure. However, just almost as a thought experiment, if I were running the code base of the product that was facilitating a community online, and I was looking to approach the onboarding experience, I would definitely do something along the lines of asking for someone’s email address, possibly displaying it and saying, “Are you sure this is the email address that you want?” or something along those lines. And then letting them in on a kind of provisional basis, where they can comment or post things as much as they want for that first experience. Or maybe they can comment by responding to other posts, but they can’t post something of their own, until they’ve gone in and kind of unlocked the email confirmation. 37:21 Samuel Hulick: But, at the very least, you’re letting people traverse the signup experience, and go in and make their first dive into the real product, and get to log those kind of early wins that people then wanna come back for. And so it’s interesting that you said like to provide access to someone who has especially a high profile account, by default, those would not be the case, because they would all be new. You wouldn’t even let someone create a high profile account until they had confirmed their email address. It just doesn’t have to happen in the first 30 seconds of using the product. 37:51 Patrick O’Keefe: That’s a great point, and that’s why I brought you on. 37:52 Patrick O’Keefe: Because that’s a great way to look at it, because you’re looking at it from the onboarding perspective, and I’m maybe caught up in the management details. And so you’re not saying, “Don’t confirm the email.” You’re saying “Don’t get in the way of the onboarding process.” Let them get through, let them start contributing, don’t make them go to their inbox. And then if they become an account that has, or an X number of days or an X number of contributions or whatever it may be, if they stick around, where many don’t, then confirm their email address. And I think that’s a great thought, so that’s awesome. 38:56 Patrick O’Keefe: That’s an amazing point. That’s a great thought. It’s been great to have you on, Samuel. I really appreciate you sharing your experience with us. 39:02 Samuel Hulick: It has been wonderful being here, thank you so much for having me. 39:04 Patrick O’Keefe: We’ve been talking with Samuel Hulick. He’s a user onboarding consultant at UserOnboard. That’s useronboard.com, and @UserOnboard on Twitter. And he’s also the author of The Elements of User Onboarding. You can find Samuel on Twitter @SamuelHulick. This has been Community Signal. 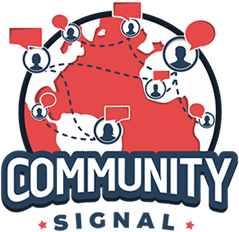 Visit our website at communitysignal.com for subscription options and more. 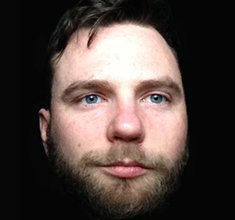 Community Signal is produced by Karn Broad, and I’m Patrick O’Keefe. We’ll see you next time.